For this assignment, you will be reading two novels, one non-fiction and one fiction, as well as a long-form essay. Your reading assignment will task you with maintaining a reader response journal throughout the summer as you read, identifying important quotes, and writing an essay. This assignment is due on wednesday, september 5, 2018.
it is worth 20% of your first term grade. Welcome to Sophomore Honors! 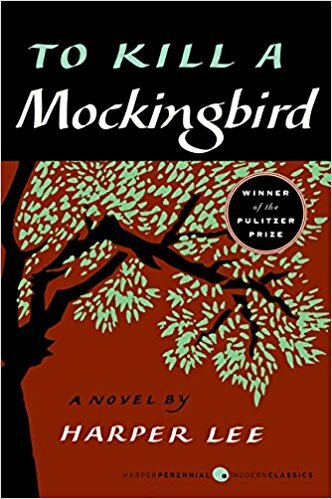 The Sophomore Honors curriculum is designed to challenge you, beginning with this summer reading assignment. For this assignment, you will be reading two novels, one non-fiction and one fiction, as well as a long-form essay. Your reading assignment will task you with maintaining a reader response journal throughout the summer as you read, identifying important quotes, and writing an essay. Your work over the summer will feed directly into our work in the fall – so put your best foot forward! A PDF copy of this assignment is available BY CLICKING HERE. 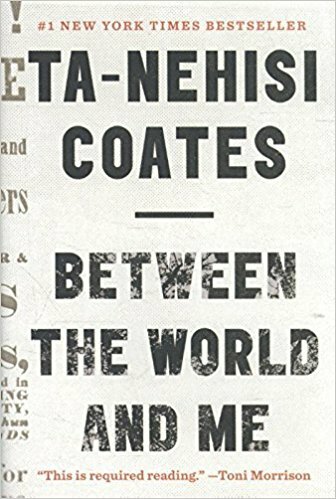 In a profound work that pivots from the biggest questions about American history and ideals to the most intimate concerns of a father for his son, Ta-Nehisi Coates offers a powerful new framework for understanding our nation’s history and current crisis. Americans have built an empire on the idea of “race,” a falsehood that damages us all but falls most heavily on the bodies of black women and men—bodies exploited through slavery and segregation, and, today, threatened, locked up, and murdered out of all proportion. What is it like to inhabit a black body and find a way to live within it? And how can we all honestly reckon with this fraught history and free ourselves from its burden? Between the World and Me is Ta-Nehisi Coates’s attempt to answer these questions in a letter to his adolescent son. Coates shares with his son—and readers—the story of his awakening to the truth about his place in the world through a series of revelatory experiences, from Howard University to Civil War battlefields, from the South Side of Chicago to Paris, from his childhood home to the living rooms of mothers whose children’s lives were taken as American plunder. Beautifully woven from personal narrative, reimagined history, and fresh, emotionally charged reportage, Between the World and Me clearly illuminates the past, bracingly confronts our present, and offers a transcendent vision for a way forward. 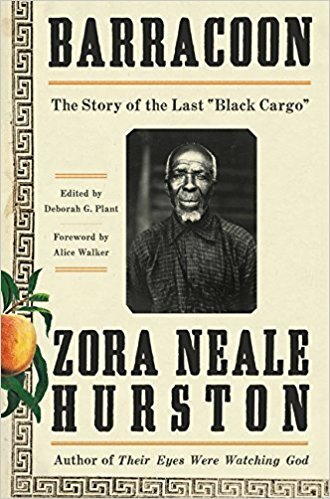 The selection of summer reading material here looks at the centuries-long African-American experience, from the last illegal slave ship found recently in Alabama, to more contemporary struggles. It is challenging material. When reading, you should read these pieces in order. This reading will greatly inform our work in the fall, and it is imperative that you are up-to-date. Over the summer, you are to maintain a reading response journal as you read the two novels. You may choose to keep your journal by hand, or you may choose to type your responses – regardless, the expectation is that you are journaling every time you read. This is your first major assignment, worth 20% of your term one grade, and is not an assignment that should be left until the last week before it is due. If you are unable to complete this assignment, it will affect the work for the remainder of term one. Do not take this assignment lightly. On this summer reading website, and in your PDF packet, you will find guidelines that will help you craft your reader response journal. Be sure to read through it. I am not expecting a summary of the events of the novel – I am looking for your response to the text. In addition to your response journals, as you read, keep an eye out for passages of the text that are significant or have important meaning to the novel. These may be quotes that stand out to you, or quotes that make you question earlier events – or quotes that may just be important to the novel as a whole. For each novel, identify 10 passages/quotes that you deem important. Include the quote, page number, and a paragraph explaining why your chosen quotation is important to the novel. When you have completed your journals, you are to write a multi-paragraph essay that traces the hardship of the African-American experience over the course of the three literary pieces you have been assigned. Each piece represents an increasingly more modern analysis of the struggle against racism and discrimination. Your job in your essay is to identify the similarities and differences between each piece, and to show how struggle is a common theme regardless of time period. Reminder: combined, this summer assignment will make up 20% of your first term grade. Each component will make up 25% of that. Put simply, each journal, the quotes, and the essay are all equally important. If you have any questions about the assignment over the summer, please feel free to email me at ahill@uppercapetech.org. This is your first major assignment as an honors student at Upper Cape Tech. Good luck, and happy reading! A reading journal is an effective way to keep a record of your reading responses – positive or negative, sure or unsure. It offers a chance to respond personally, to ask questions, wonder, predict, or reflect on the characters, events, literary elements, or language of a text. As you read take time to record your observations. You may do this as ideas strike you or after you have read a small portion of the text, for example ten pages. Write often and record as many of your observations as possible. Do not summarize. Instead, record your textual observations. Some of the first nine week essays will reflect your responses, so take time and care when writing in your journal. Please keep in mind that these logs are not meant to be a personal diary. They are meant to be read by others and should relate only to the assigned material. Generally, three stages of student work are exhibited in these journals. As Honors students, you should strive for Stage III. Stage I: A literal surface encounter with the text. The work of students at this level will have some or many of the following characteristics. Stage II: Evidence and understanding and appreciation of text. The work of students at this level will have some or many of the following characteristics. Stage III: Synthesis and evaluation of the text. The work of students at this level will have some or many of these characteristics. You are expected to keep a Reading Response Journal. A brief summary of the plot. Be sure to include detailed information about plot, conflict, and character development with each entry. For example: If the plot has reached its climax, be sure to note what the climactic moment is. Explain how the characters react to the climax. How has the conflict influenced the climax? Entries should reflect Stage III, synthesis and evaluation of each text. Be sure to note any literary devices employed by the author. See the UCT Glossary of Literary, Poetic, and Rhetorical Devices posted on the school’s website. Give detailed examples of how the devices are used within the work. For example: Be sure to comment on the work’s setting. How does the setting influence the characters? How might the setting reflect the conflict? What tone has been established? Is the author using irony – dramatic, situational, or verbal irony? Neatly record your Reading Response Journal in a composition notebook, a Word Document, or in Google Docs. The Reading Response Journals will be collected on Wednesday, September 5, 2018. You can find an embedded copy of Ta-Nehisi Coates' essay here. If the PDF embedding is not working for you, you can download a copy of the essay BY CLICKING HERE. Reminder: this assignment is worth 20% of your term one grade. Be sure to complete it on time!